Virtual Private Network is a service that provides user with their own private network which is heavily protected and it can work safely in the wide web space. Basically, A VPN connection will connect your computer to a server located at a remote location and all your internet activity will be transported to that server through a virtual tunnel. This virtual tunnel is heavily encrypted to prevent outside access and the data that passes through the tunnel is also first encrypted before entering the tunnel and then it gets decrypted before reaching its final destination. VPN is a very useful service and people use it for different purposes. Some people like to get complete internet freedom because their government restricts various websites in the country. On the other hand some people use it for business purposes and connect to remote locations with complete security. What are the types of VPN? There are two types of VPN connections, Shared IP VPN and Dedicated IP VPN. Shared IP VPN, as you can see by its name, is a connection that will offer you a shared IP which is being used by so many other VPN users as well. On the other hand, you can get a dedicated IP VPN from your service provider that will be a unique IP address. Now, you might think that dedicated IP VPN is much better than the first one but it costs too much and you might not need it as well. Why choose a Shared IP VPN? 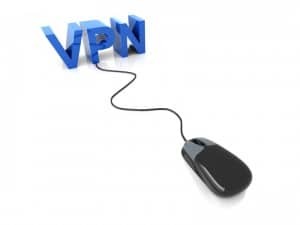 So, we suggest most of our regular internet users to get a Shared IP VPN. One of the main reason behind that is the cost of the service which is very affordable and if you are on a budget this might be the only option for you. Of course if you are just a casual internet user you might not need high volume data packages and that is why Shared IP will be better option for you. In addition to that, all you need to do is just look for a reputed VPN service provider that will be able to provide you great VPN services and that is how you will be able to get maximum out of your shared IP VPN connection. First of all you have to figure out why you need a VPN connection and which country’s IP address you want to use. Now, if you need an IP of the usual countries like the US or the UK, you can easily get a Shared IP VPN for those countries. But of course you would like to get the best connection for yourself and that is what we are here for. We will suggest you a list that contains the best Shared IP VPN providers who are well capable of providing high quality VPN services and lag free services to the users living all around the world.